This week's tip on Shell Zenner's Amazing Radio show is Roses Are Blue, another happy accidental discovery that the internet springs on you from time to time. The song Sorry - Trying To Tell You is a beautiful haunting track guaranteed to make the hair stand on the back of your neck the minute Rose starts to sing, accompanied only by a solitary, distant sounding piano. When we dug deeper, we found a prolific songwriter with a mine of similarly evocative songs waiting to be discovered. We caught up with Rose to find out a little more about her. First of all, can you introduce yourself and tell us a little about yourself and how you got into music. My name is Rose, known as RosesAreBlue musically, I'm 31 and from London. I write songs and have been recording for just over 3 years now. My love of music began when I was about 5 years old. I was in love with the piano in our house, and singing and making songs was my favourite thing to do. Growing up, my parents were always at work, so I had the luxury of being alone to indulge my passion. It was magical times, to sit and sing whatever I liked, and express so freely. I later took piano lessons for many years, but really reading music was boring for me, I preferred writing my own songs. Writing songs about my day or what I'm feeling, has always been a daily activity, part of my life. I discovered SoundCloud over 3 years ago, and it inspired me to actually start recording the songs. I had an account full of old songs, but I restarted a new account just over a year ago now. The song we've chosen to tip on Amazing Radio is Sorry - Trying To Tell You. Could you tell us a little about the song? It is a song of sadness, love and frustration I guess. I made this song, very late at night, I was tired, and just feeling sorry and I was thinking how difficult it is sometimes just to say 'Sorry' and articulate those feelings. Life is short, and of course in life, and in relationships, we wound. I guess the message in the song, is that we are all human, we make mistakes and asking for forgiveness is something to embrace. Looking at your soundcloud, there's eighty tracks on there. That's fairly prolific by anyone's standards - do you find songwriting something that comes easily? I'm lucky in that writing songs comes really easy to me. I just sit at my piano and a melody comes. My piano is really just a mood-medium for me, whatever I feel, she seems to pick up! When I make a song, I always start with the piano, and lyrics and vocal come after. Sometimes writing lyrics is the longest part for me. I hate cliche lyrics, I always want to write exactly what I feel, and often metaphors and imagery help this. I probably write about 3 songs a week, but usually one goes up on Soundcloud a week. Whilst Sorry - Trying To Tell You and the more recent songs on your soundcloud are solo piano tracks, you have recorded with other instruments as well. Are the new songs likely to be recorded with a band at some point? I am a solo artist. I write, produce and record all the songs myself, I've never been in a band. I write some songs that are just piano and me singing. But I also make pop songs, I like to do a mix of songs. I have collaborated with other artists on SoundCloud, where I have added a vocal to one of their tracks or they have remixed one of my songs. You've worked with Ximik on a collaboration album called You Me. Can you tell us a little about how that came about? I met XIMIK, his real name is Alex, just over a year ago. He contacted me and remixed a track called Knock Knock and I was really amazed. He started remixing more and more tracks and it just went from there! I was overjoyed and still am! I really love what he does with the songs. We are both signed with the same record label - Uneq Productions, NYC. XIMIK has an EP called Knock Knock and an Album called You Me released with them. Alex has become a wonderful friend and he is a real talent. With so many songs and only one album (Girl) and the collaboration with Ximik under your belt, are there plans to release any more of the songs that you've built up over time? I released my first album Girl with Uneq Productions last July, and later an EP I Miss You, and now am ready to release a new album again with more recent work. I'm really looking forward to it. Working through the soundcloud tracks could take a little time. If you had to choose three favourite songs other than Sorry - Trying To Tell You that you're most proud of and which would give the listener the best indication of what your music is about, which ones would you recommend? Hmm that is such a tough question! I like my songs when I'm making them, but after that, I don't dwell on them, I am already onto making the next song. Red Unsaid is one of my favourites. It took me literally 10 minutes to make, but it is deliciously creepy. I made it just before Halloween and I think it tells a wonderful story...maybe about me! He Called Me Ann Marie is a special track to me as I actually wrote this song in my sleep. This song is all about a dream and while sleeping and dreaming it I was writing this song, if that makes any sense! Supernatural Angel is another one, I think it's quite an empowering song, that I wrote feeling a little low, I think it's all about feeling connected to yourself. Perhaps when we feel sad we have just lost that connected feeling to our soul. Supernatural Angel is all about finding and keeping that bond. Do you have any live dates coming up or any plans in the pipeline? At the moment I don't do any live gigs. It's more a reason of finding the time, as I have two small children. It's something I'm really considering for the future though. 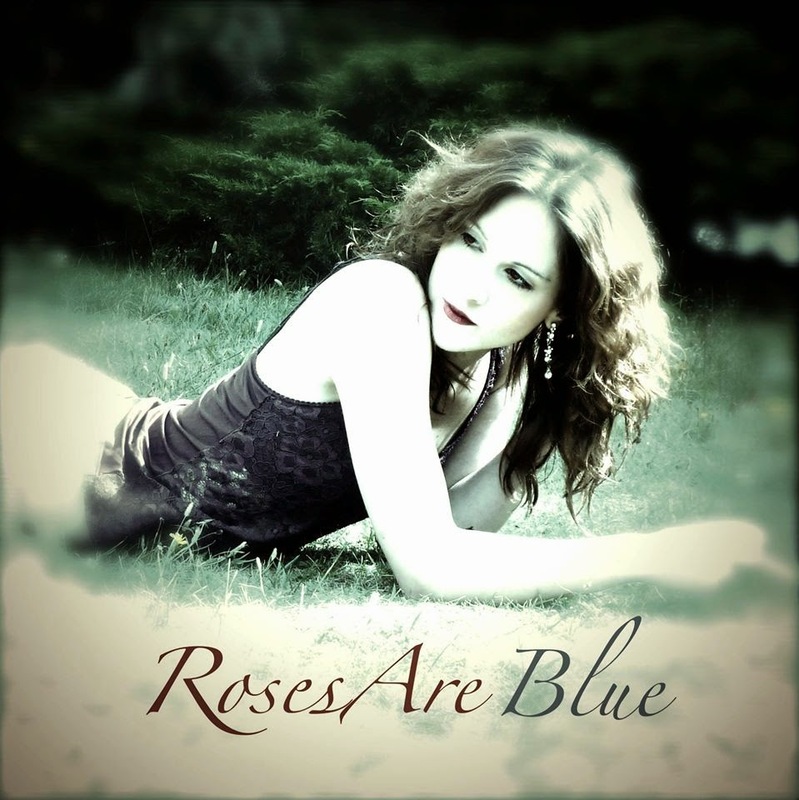 Roses Are Blue is on Facebook, Twitter and Soundcloud. 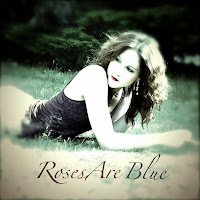 @etunesUK - Love the Tunes by RosesAreBlue. So Original and she gets to all her fans by engaging us all in the music. This type of music Indie/Pop is awesome and she tells her stories through music exceptionally brilliant.